RoofTek is proud to be partners with the best manufacturers, suppliers, thought leaders and experts in the roofing industry. Without our relationship with these groups we simply couldn’t do what we do. For nearly 80 years, they have been a leader in insulation, roofing, and fiberglass composites. Owens Corning invented the fiberglass composite asphalt shingle. They are an industry leader in innovation. Owens Corning produces some of the best products in roofing, including the TruDefinition Duration Shingle – with SureNail Technology. This unique shingle has changed the quality standard for how shingles are made – and is the only shingle in the world that can achieve a 130 mph wind rating with only 4 nails. Founded in 1886, GAF is the largest manufacturer of commercial and residential roofing products. 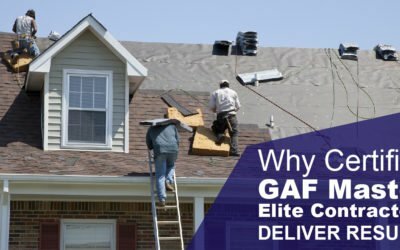 GAF has by far the broadest offering of residential shingles – including some of the most unique and beautiful products available. GAF is also an industry and thought leader on providing roofing contractors with the best training, leadership, and tools for success. 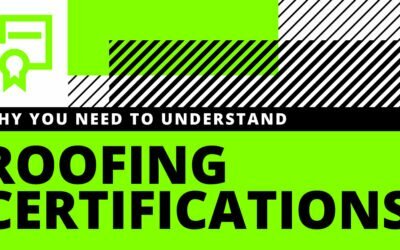 GAF is also the only manufacturer of industrial grade commercial roofing products AND world class shingles – giving us a unique advantage in offering comprehensive warranties where other manufacturers cannot. ABC Supply Co., Inc. is the largest wholesale distributor of roofing in the United States – more importantly they are one of RoofTek’s most trusted partners. We rely on ABC Supply to deliver more than 60 jobs per month average. ABC Supply is an incredible partner and resource. Roofers Supply is the largest independant, regional distributor of roofing products in the USA, and they are right here in Utah. Roofers Supply is a critical part of the landscape of roofing here in Utah – in fact more than a third of every roof in Utah is likely supplied by roofers. More important than size or market share – they help us at RoofTek. They operate with values that extend beyond just making profits. These values and example permeat the industry – and at RoofTek we strive to emulate these in our business as well. EagleView uses aerial imagery and proprietary 3D modeling software to facilitate the electronic measurement of millions of rooftops throughout North America and several other countries. At RoofTek we use these measuring tools to ensure the timely and laser-accurate measurement of each project we estimate. These measurements are guaranteed and give us the ability to stand by our own estimates. HOVER is building the future of 3D property data with a platform that lets RoofTek and our clients generate accurate 3D models by simply taking a few photos with our smartphones. Their goal is to change the way you see the world by building the world’s most comprehensive and accurate database of physical properties. This also gives our clients the power to see your property in 3D – and to test different materials on your home – right in 3D. In addition to our core industry partners RoofTek is active in our pursuit to align ourselves with professionals who are experts in their fields – and who rely upon RoofTek as a key roofing relationship in one or more capacity – ranging from roofing inspections, install, new construction, roof repair and maintenance, etc. Solaroo is one of the leading solar companies in Utah – and they trust RoofTek to handle all their roofing needs. Thanks Solaroo! Green Ridge Builders builds high-end custom homes along the Wasatch Front. RoofTek values our relationship with Green Ridge. RoofTek is proactively seeking partnerships with Property Managers, Real Estate professionals, General Contractors, Home Builders, Home Owners Associations – and YOU. Contact us for more information! Utah has plenty of roofing contractors – in fact, there are several hundred companies that are roofers – and lots of others that do roofing, from a handyman to siding contractors. Finding the contractor that is right for you can take time and work, but finding a qualified Roofing Expert does not mean it has to cost more. At RoofTek we understand that hiring a roofer can be intimidating – even scary. You want to preserve the value of your investment and get real value. You need to find a local, reliable roofer you can trust. You want to get VALUE – and without understanding the tangible difference between one roof or another, one roofing contractor in Salt Lake versus another – the process can be frustrating. How can you find a trustworthy residential roofing contractor?